Want to know if your hospital is a rip off? Move to North Carolina. Medicare made waves earlier this year by releasing the prices that hospitals charge for the most common procedures. North Carolina now wants to take a step further: Gov. Pat McCrory (R) signed legislation last week that will require hospitals to publish the prices that they negotiate with insurers. This data has the potential to be significantly more useful for consumers. The prices that hospitals charge are, essentially, sticker prices. Insurance plans usually negotiate a rate lower than that opening bid. The data that North Carolina will make public is the actual amount that hospitals end up charging health plans for their services. Beginning in June 2014, the state’s Health and Human Services Web site will post that information. That means that, in North Carolina, someone undergoing surgery could comparison shop between hospitals before making an appointment, seeing where he or she might get the best deal. This data could become especially important given the trends we’re seeing in the health insurance market: Employers are asking employees to take on a bigger share of their premiums, in the form of much larger deductibles. When individuals are paying out-of- pocket for their care, or even a hefty co-insurance fee, the incentive to shop on price becomes a whole lot stronger. Right now, shopping on price is really hard; hospitals tend to keep the deals they’ve negotiated with insurers private, seeing that information as a competitive advantage. If they’re getting a health plan to pay a high rate for a given procedure, would they really want the hospital down the street to know. The data we’ve seen so far on health care prices suggests we’re likely to see pretty significant variation. Data compiled by the private health cost firm Castlight found that, here in the District of Columbia, and MRI can cost anywhere between $400 and $1,800. Now North Carolina is about to make data like that a whole lot more accessible, possibly changing the way that people there seek health care treatments. Protests across North Carolina and media scrutiny from across the country over a more conservative bent in N.C. politics stem from a much-needed change in culture, Gov. Pat McCrory told me Monday afternoon during a visit to the Government Center in Charlotte. 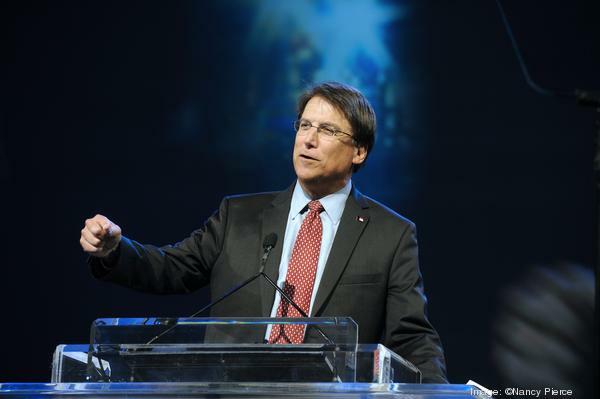 McCrory, a first-term Republican governor and former seven-term Charlotte mayor, said organized opposition by Democratic-leaning political groups and media hyperbole have created a distorted picture of the Tar Heel State. During a 15-minute interview, he dismissed concerns over a recently signed voter ID bill, characterized anger over tighter abortion restrictions as misguided and said he is comfortable bucking liberal and conservative factions alike when warranted. McCrory came to Charlotte to present the Order of the Long Leaf Pine to former Mecklenburg County commissioner Dan Ramirez. Ramirez, who was diagnosed with ALS last year, became the first local Hispanic elected to political office in 2002. McCrory had tears in his eyes when he presented the award to Ramirez. The governor took questions from several reporters after the ceremony and then headed to the 15th floor for a visit with the current mayor, Patsy Kinsey. She became mayor last month after fellow Democrat Anthony Foxx resigned. Foxx gave up the office after President Obama chose him to be U.S. secretary of transportation. Since his last term as mayor ended in 2009, McCrory has been in the Government Center just twice, he told me Monday. A week ago, crowds estimated at 2,000 to 3,000 people protested at Marshall Park, labeling McCrory a “poster child” for the Tea Party and mocking his recent overture to placate women’s health-care advocates in Raleigh by presenting protesters with a plate of cookies. No arrests were made at the Moral Monday protest in Charlotte last week. Three months of Moral Mondays in Raleigh during the General Assembly session led to more than 900 arrests. McCrory and his Republican allies in the state legislature control both chambers of the General Assembly as well as the governor’s mansion. It marks the first time the GOP has enjoyed this much political power in North Carolina in more than a century. The governor said the rallies seek to preserve the status quo, a philosophy that runs counter to his campaign pledge to revamp state government. In July, the North Carolina unemployment rate recently inched upward to 8.9 percent, third-worst in the nation. McCrory and the legislature approved sharp reductions in unemployment benefits this year. State debt of $2.5 billion to the federal government prompted the shift. Economists and data analysts, including Chapel Hill consultant John Quinterno, questioned the changes in unemployment benefits and called the cuts short-sighted. A broad voter ID law signed by the governor drew a rebuke from former U.S. secretary of state Colin Powell, a fellow Republican, when Powell spoke last week at a CEO forum in Raleigh that included remarks by the governor, too. The voter ID bill ends straight-ticket voting, prevents college students from using their school IDs at the polls and shortens the early-voting period. Some experts expect the U.S. Department of Justice to challenge the new law, similar to a legal battle brewing over voter laws in Texas. Voters across the state are disappointed in the governor and the legislature of late, according to Raleigh research firm Public Policy Polling, a left-leaning group. McCrory’s approval rating declined to 39 percent in the latest surveys; the General Assembly’s fell to 24 percent. A Republican-friendly polling firm, the Civitas Institute, has also seen drops in the governor’s popularity, though his overall approval ratings hovers near 50 percent in those surveys. A question about the abortion bill prompted a retort over whether critics have even read the bill, a problem the governor learned first-hand during an earlier remark about voter ID. A recent closing in Asheville makes the case for new rules, the governor said. That clinic has recently re-opened, according to a report by The Associated Press. McCrory said the bill approved by the General Assembly was a “pragmatic solution.” State Sen. Malcolm Graham, a Mecklenburg Democrat and leader of the local delegation in Raleigh, told me last week the legislation ignored a campaign pledge by McCrory to preserve abortion rights. Women’s health advocates and a number of Democrat-friendly grassroots groups have voiced similar opinions. The new law adds requirements for clinics to perform abortions. McCrory and the GOP have said changes are necessary to ensure safety and proper care. Democrats and other opponents criticize the law as a way to limit access for women seeking an abortion. “If you read the media, you would think we shut down every clinic, when in fact we haven’t done that,” McCrory said. Continued uncertainty over who controls Charlotte Douglas International Airport elicited a familiar response from McCrory: Eliminate the politics of the debate, a call that has been ignored by state lawmakers ever since a campaign began over the winter to remove CLT from direct city oversight. Asked about slipping approval ratings for himself and other Republican leaders, the governor blamed “the PR machine” and mentioned stories about the state’s political environment in The New York Times, The News & Observer in Raleigh and The Huffington Post as examples. Coverage by those outlets has been slanted, he said. As for North Carolina’s national brand or reputation, McCrory said that has always been a concern for him, both as a mayor and now as governor. Then he took a swipe at his predecessors, Bev Perdue and Mike Easley. Both are Democrats and both were swept up in campaign finance scandals. Perdue defeated McCrory in the 2008 election and served one term before opting against a re-election campaign. Easley served two terms, beginning with the 2000 election. Dr. Greg Brannon, practicing OB/GYN critical care surgeon out of Cary, NC, officially announced that he will run for Kay Hagan’s Senate Seat in the 2014 election. The announcement came months after a grassroots effort was formed to convince Brannon to run for the position. “Draft Dr. Greg Brannon to Senate Run 2014,” a social media page created by several grassroots supporters and friends in the North Carolina tea party and liberty activist movement, attempted to convince Brannon to throw his hat in the ring by displaying grassroots republican support for his potential candidacy. Brannon officially announced his campaign Saturday afternoon in front of a mixed audience of the NC-RLC and the Eastern NC Tea Party, at a Winterville, NC event, “LiberTEA Rally.” The event organizers were unaware that Brannon would make his initial campaign announcement at their event, calling it a surprise. “(We were) proud to be part of the event. I wasn’t aware it was his first public announcement,” said Diane Rufino, Founder of the Eastern NC Tea Party. Dr. Greg Brannon is the President of FoundersTruth.org and a weekly radio guest of the Bill LuMaye Show out of Raleigh. RESEARCH TRIANGLE PARK, N.C. — Democratic Sen. Kay Hagan of North Carolina rode President Barack Obama’s coattails in 2008, winning a seat Republicans had held for nearly four decades. 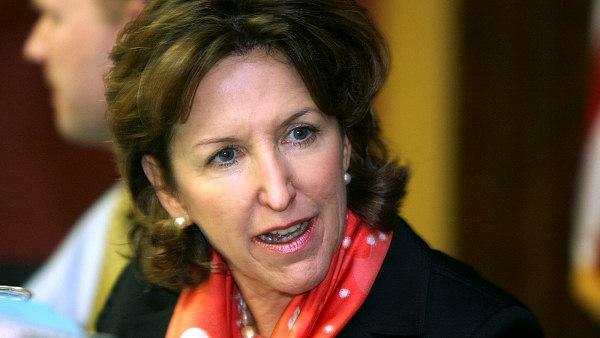 Now Hagan faces a powerful Republican rebound as she seeks a second term in November 2014. Her saving grace in the race could be a crowded GOP primary that seems to be taking shape, with the potential to leave the eventual GOP nominee battered and broke. North Carolina’s political balance is far different now than it was in 2008 when the state sent Obama to the White House and Hagan to the Senate in a remarkable year for Democrats. Today, the GOP controls the state’s executive and legislative branches simultaneously for the first time since 1870. Republicans also hold nine of the state’s 13 House seats, thanks in part to the party’s efforts to redraw legislative boundaries to favor its candidates. And North Carolina, still recovering from the recession, voted for Obama in his first race but narrowly voted against him in 2012, instead backing Republican Mitt Romney. “We’ve got a good record to build on,” said state House Speaker Thom Tillis, who is running for the Republican nomination. 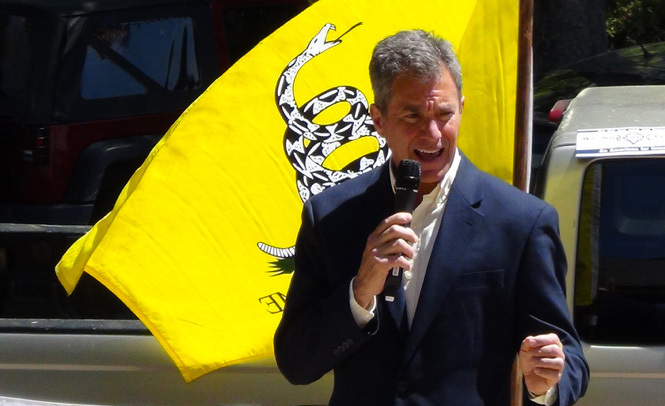 Greg Brannon, a physician with tea party support, also is seeking the nod. No fewer than five other Republicans are considering bids, including state Senate leader Phil Berger, Reps. Renee Ellmers and Virginia Foxx, Southern Baptist leader the Rev. Mark Harris of Charlotte and former Ambassador Jim Cain of Raleigh. Republicans are emboldened both by their recent electoral fortunes and by controversies in Washington dogging Obama and his Democrats, including questions over the IRS’ improper targeting of conservative groups for extra scrutiny and questions about the Obama administration’s handling of the terror attack that killed four Americans in Libya last fall. “The things that are happening at a national level make North Carolina and the North Carolina Senate race that much more of an attraction for conservative candidates,” said Berger, a lawyer from small-town Eden who plans to make a decision later this summer about whether to run. He said Hagan “remains vulnerable to a challenge from a strong candidate.” Republicans argue that Hagan should be replaced because she’s too closely aligned with Obama and voted for his federal health care overhaul – a preview of the playbook the eventual Republican nominee is all but certain to use next fall. Republicans are using a similar pitch in the three other states where Democratic senators are up for re-election in 2014 and where Romney won last year. Republicans need to gain six Senate seats to take control, and some of the GOP’s best pick-up opportunities are in North Carolina, Arkansas, Alaska and Louisiana. Hagan’s other potential vulnerabilities include her support for legalizing gay marriage after a constitutional amendment banning it in North Carolina passed easily in 2012, as well as her vote for expanding background checks on gun purchases. She’s clearly mindful of Obama’s divisiveness in the state, and she wasn’t on hand for the president’s recent visit to North Carolina. Her office said she was busy on the Senate floor with farm and student loan legislation. Hagan is downplaying her Democratic alliances in hopes of attracting support from centrists as well as Republicans. She described herself earlier this year as a “commonsense, middle of the road, independent thinker” and has been courting farmers and veterans, two key voting blocs historically likely to vote Republican in North Carolina. “People in North Carolina are worried about jobs and the economy, and that’s what I am focused on,” the former banker from Greensboro said after speaking at the recent grand opening of a high-tech greenhouse in the technology-rich Research Triangle Park. Unemployment in North Carolina is well above the national average. In April, the jobless rate was 7.5 percent nationally and 8.9 percent in the state. “I am hoping that we can work together as Democrats and Republicans to really help change that,” said Hagan, who is fashioning herself as someone on the front lines of ending partisan gridlock in the Senate. She also has promoted her efforts to press the Obama administration to relieve a backlog in processing veterans’ medical benefits and to work to reduce crop insurance fraud. To get a second term, she’ll need to win over Democrats like Scott Whitford of Pamlico County, who farms 2,500 acres. “I don’t agree with her on every issue, but on most agriculture issues she has been supportive of farmers,” he said. A registered Democrat, Whitford said he’s voted more for Republicans over the past 15 years than from his own party. After the farm bill passed the Senate recently, Hagan’s office sent out a news release claiming she “secured major victories for North Carolina farmers,” particularly tobacco growers. Hagan raised a respectable $1.6 million during the first fundraising quarter of the year for a race that could cost the victor upwards of $10 million – not counting millions more from outside groups. She has visited all 100 counties and held a town hall meeting in each during her first term. It serves as a contrast to Hagan’s predecessor, GOP Sen. Elizabeth Dole, who was criticized for her prolonged absence from North Carolina after decades in Washington. Hagan beat Dole in 2008, and conservative icon Jesse Helms held the seat for 30 years before Dole. Democrats seem to be most worried about Tillis, a suburban Charlotte corporate consultant, prodigious fundraiser and one of the architects of the Republican surge in Raleigh. They’re spending most of their time so far criticizing his House record and links to big donors. Democrats and civil rights groups have held a series of protests – leading to nearly 400 arrests – over the past month in Raleigh blaming Tillis, Berger and others for what they called extreme conservative policies.